Dead Elvises - just a bit of fun. 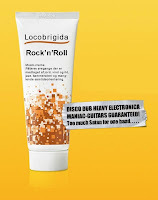 Locobrigida is my vehicle for bringing 80's-style heavy-rock-guitars together with electronic beats. 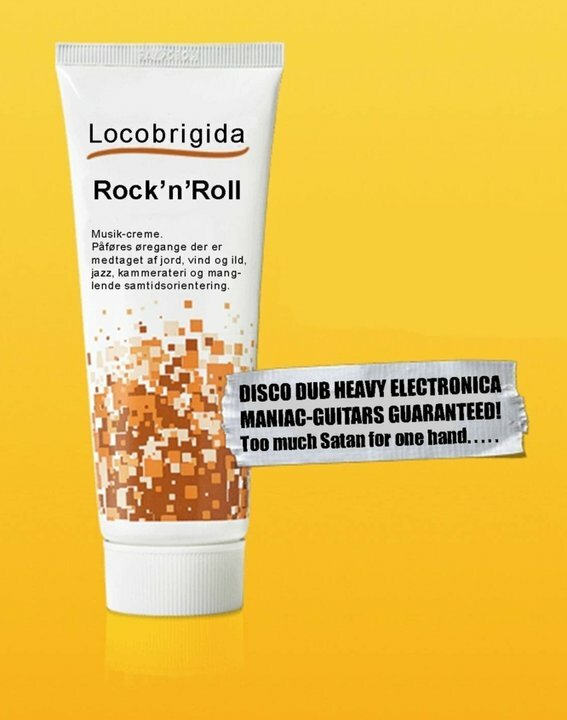 I've always loved Van Halen-ish guitars, a big fat chorus and some general craziness in music, so that's what Locobrigida is all about. Hmm well that AND having a bit of not-too-intellectually-charged fun. Big loud drums are nice as well! 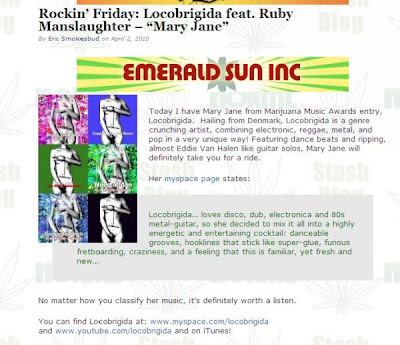 Latest release from Locobrigida is 'VS - The Mash-Up EP' - read about that one in 'Mashup - grand theft or music-cut ups?' 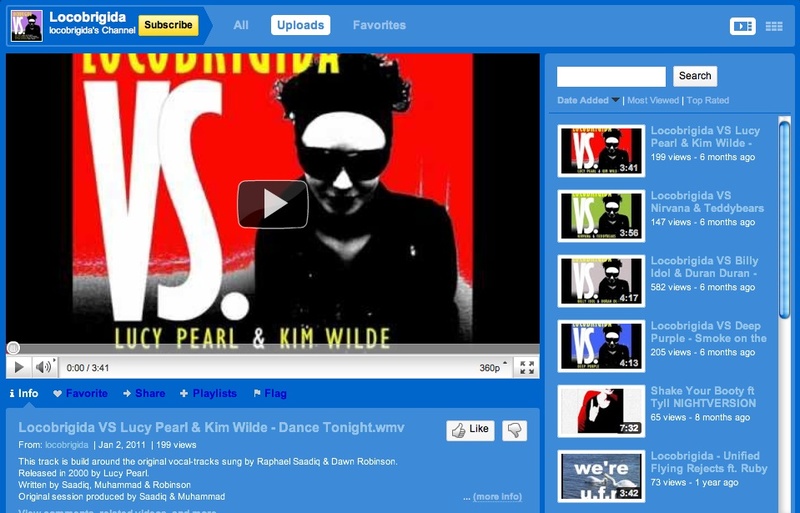 - basically it's 4 well-known original vocal-tracks that I build new music around. Except for the guitars, played by my talented friends Carl Mörner and Timo Vuoppola, I played everything and produced and mixed. Mastering by Tim Harris. 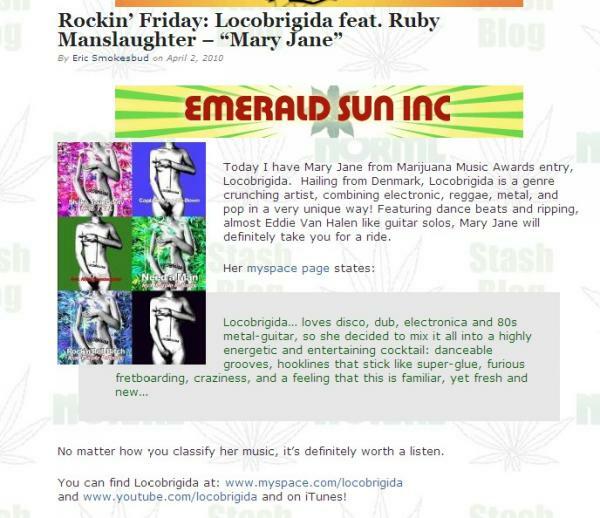 Locobrigida isn't all mashup though. 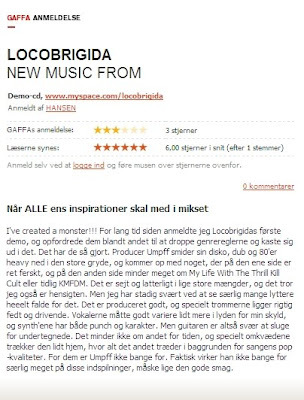 On a normal day Locobrigida is original songs, such as those in the player below - a compilation of the tracks I myself consider the best from 'The First EP' and 'The Second EP'. 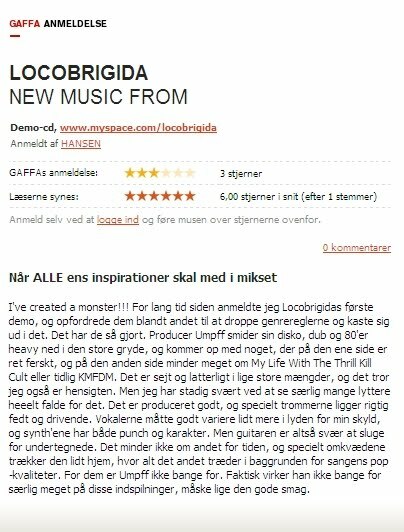 There's a whole lotta naive home-made Locobrigida-videos - some though with kind of a message - at Locobrigida's channel on Youtube. 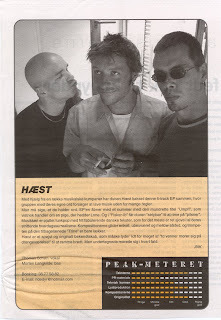 Way back I was in a duo called Hæst. Thomas Schøn wrote the lyrics and sang, and I wrote the music and played the bass. 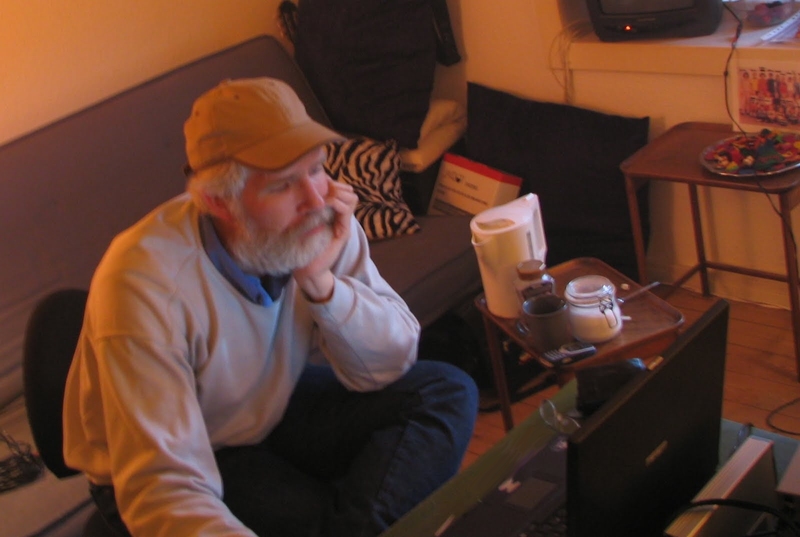 "Tango" was recorded with special guests Laid Back - John Guldberg on guitars and Tim Stahl on keys. Uffe Winther plays the drums and Anders Ørsager sings the backing vocals. I produced, Bo Karlsson mixed and Tim Harris mastered. Me mate Jon aka Jah Bozo made a remix back in the mid-00's and recently (2012) he edited together a video too. All photos by Jan Emil Christiansen. We recorded the first Hæst-demo 'EP' back in the summer of 2000, with the help of our good friend Timo Vuoppola, who played drums, guitars and keys on the 5-track EP. 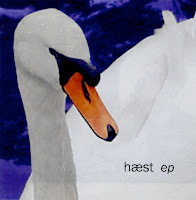 17 remastered tracks, including most of the album we recorded in 2003 - with guests Laid Back, Jeppe Kjellberg, Thomas Hass, Kasper Villaume, Billy Cross, Uffe Winther, Anders Ørsager, Stine Kongsted, Jacob Thomhav and Mikael Nordmark - + some 8-track-demos found in the back of the closet as well as poor quality live-recordings, is up for free download at Bandbase. 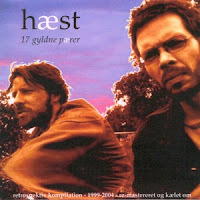 Thomas Schøn and I resurfaced a couple of years after the demise of Hæst as Den Gale Hals. We wrote a couple of 'serious' fun-tracks, but so far only this track of pure childish hate is out in public.